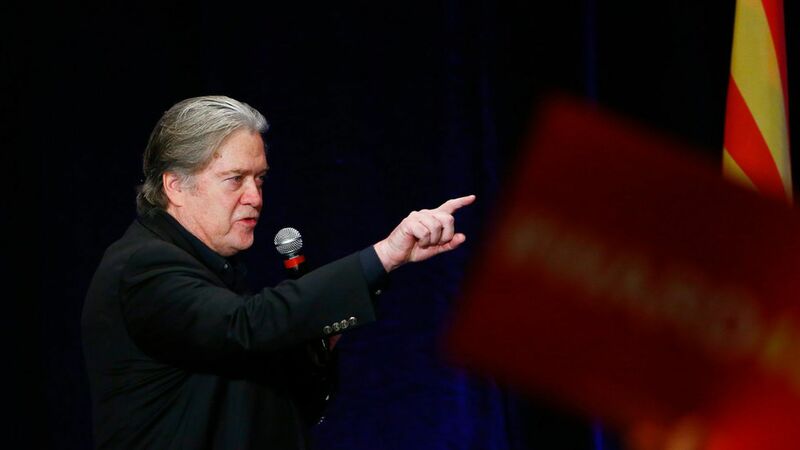 In a Friday night phone call, President Trump's former chief strategist and enforcer Steve Bannon told Trump he was going "off the chain" to destroy Paul Singer, a New York hedge fund billionaire who is one of the most influential donors to the Republican Party. A cautionary note for those wanting to oppose Singer: A source familiar with the arrangements told me that Singer has already made a "major commitment" and cut substantial checks to outside groups to support the president's tax reform push. Why this matters: Bannon spoke to Trump shortly after the New York Times broke the news that a Singer-funded conservative website first paid for anti-Trump research by the firm, Fusion GPS, that later produced the infamous Russia dossier. 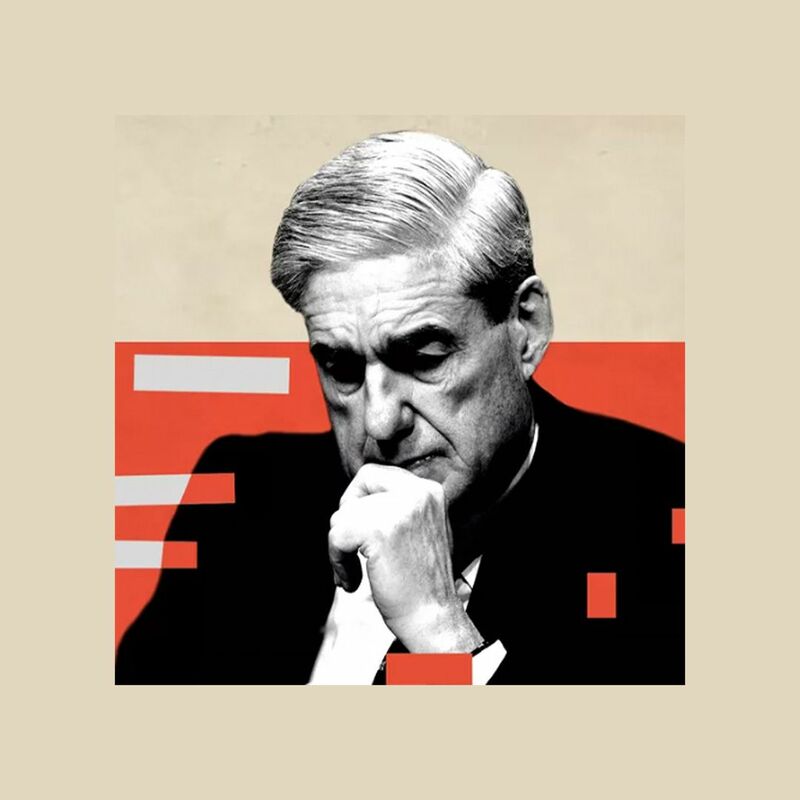 The dossier alleges that the Trump campaign conspired with the Russian government to influence the 2016 presidential election. It also contains unsubstantiated sexual allegations. A source close to Singer said the billionaire had no idea who Fusion GPS was until they became a subject of news reports related to Trump and Russia. Though the source added that of course Singer generally knew — and it was public knowledge — that the website he funds, the Washington Free Beacon, paid for opposition research. Free Beacon editors told the NYT the outlet had nothing to do with the dossier that the Clinton campaign funded. Since the story broke, the president has told several people he views the NYT revelations as a "win" for Republicans because they show that only Democrats and the Clinton campaign paid for the controversial dossier, produced by former British intelligence officer Christopher Steele. Trump's tweets this morning reinforce that message: "Never seen such Republican ANGER & UNITY as I have concerning the lack of investigation on Clinton made Fake Dossier..."
In their Friday phone call, Bannon told Trump he had been looking for a long time "to set things right with Singer and his entire crew," according to a source familiar with the conversation.Since the NYT story broke, Bannon's right-wing media outlet, Breitbart News, has been relentlessly attacking Singer and calling on politicians who've taken money from him to return the donations.Background: Trump loathed Singer during the campaign, when the billionaire was a lead financier of the "Never Trump" movement. But the two made up earlier this year, and Singer has been financially very helpful since Trump won the presidency. He donated $1 million to Trump's inauguration and has supported various administration efforts including funding the successful outside campaign to back the confirmation of Neil Gorsuch to the Supreme Court.Bottom line: Bannon has long despised Singer. In Bannon's worldview, Singer belongs to a "globalist" cabal that favors open borders and includes other bogeymen and bogeywomen such as George Soros and Hillary Clinton. It's also helpful to Bannon that Singer has close ties Mitch McConnell — the Senate GOP leader whom Bannon is obsessed with destroying.Based on my reporting so far, however, I'd be surprised if Trump publicly joins the fight against one of the most important donors in Republican politics.